The Cadence® Allegro® FPGA System Planner offers a complete, scalable technology for FPGA/PCB co-design that allows users to create an ideal correct-by-construction pin assignment. FPGA pin assignment is synthesized automatically based on user-specified, interface-based connectivity, FPGA device pin assignment rules, and placement of FPGAs on the PCB. With automatic pin-assignment synthesis, users avoid manual error-prone processes while shortening the time to create initial pin assignment that accounts for FPGA placement on the PCB. This unique placement-aware pin assignment approach eliminates unnecessary physical design iterations that are inherent in manual approaches while shortening the design cycle time. 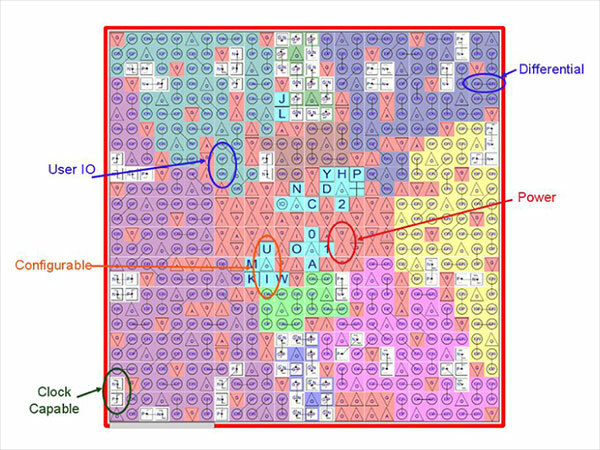 By enabling placement-aware pin-assignment synthesis—which is FPGA device rules accurate—the Allegro FPGA System Planner offers a unique set of capabilities for FPGA/PCB co-design. It provides a floorplan view to place components in the FPGA system and allows users to specify connectivity between components within the FPGA subsystem at a higher level through interface definitions. With its placement-aware pin-assignment synthesis, the Allegro FPGA System Planner enables users to explore their FPGA-based architecture and to create an optimum correct-by-construction pin assignment for either production or prototype designs that use FPGAs.